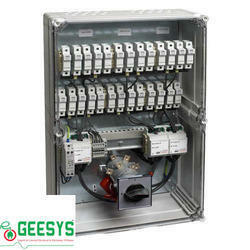 Prominent & Leading Manufacturer from Chennai, we offer solar array junction box and solar string combiner box. Solar acdb solar string combiner box in india, solar string combiner box preparer in india, solar string combiner box preparer in chennai, solar ac distribution box, solar string combiner box in bangalore, solar string combiner box preparer in pune, solar string combiner box preparer in hyderabad, solar dcdb, solar dcdb in chennai, solar dcdb preparer in chennai, solar array junction box preparer in chennai, solar acdb preparer in india, solar combiner box in india, solar combiner box preparer in india, solar combiner box preparer in chennai, solar ac distribution box, solar string combiner box in kolkata, solar string combiner box preparer in ahemadabad, solar string combiner box preparer in mumbai, solar dcdb, solar dcdb in coimbatore, solar dcdb preparer in chennai, solar array junction box preparer in india, solar ac combiner box, solar accb, electrical lt power panel, electrical lt panel in chennai. 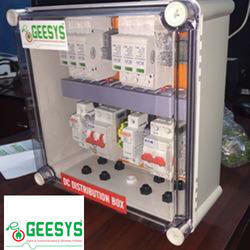 GEESYS Solar is specilised in manufacturing Combiner Box, as per the customer reqiurement.We offer Combiner box is generally used to interconnect multiple number of inputs together to provide single DC source. The combiner box sizing is customized depending upon the number of strings with each input fused seperately. Green Field Solar also provides Combiner Box to measure the current and voltage produced from the solar pv system with help of string monitoring.